Master Liu Xiao Ling was born in 1950 in Shanghi, China, in a family that traces its ancestral home to Wanping County of Hebei Province.As a child, he had an ardent love for wushu.In the beginning of the 1960's, he was apprenticed to a well-known teacher of Shaolin Wushu, Master Jing Xiang Bao, who was the disciple of the famous wushu master, Dong Zhong Yi.These first teachers guided him in laying a solid foundation for his later wushu career. In the early 1970's, Master Liu became a disciple of the famous master, Pei Xi Rong. It was with Grand Master Pei that he studied Hebei Xing Yi, Ba Gua, Tai Chi, Wu Dang Wushu, and Wu Dang Qigong.Grand Master Pei was a student of Fu Jian Qiu, who was famous for his Wu Dang expertise.In the 1980s, Master Liu studied Liu He Ba Fa (Water Boxing) under Masters Li Dao Li and Liang Qi Zhong. 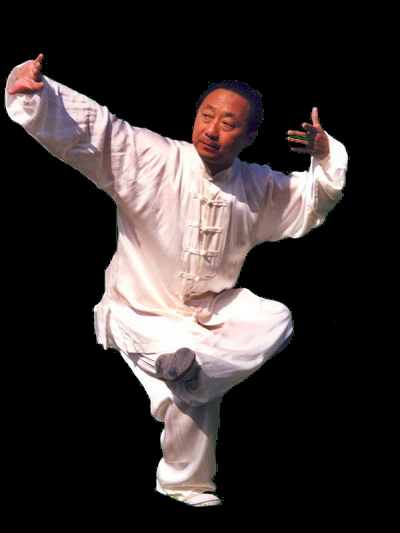 In the 1990's, Master Liu became the disciple of Master Guo Rei Xiang, and learned Tong Bi, Pi Gua, and Miao Saber.Guo Rei Xiang was known as one of the ten best Chinese Wushu Masters of his time.In addition, Master Liu has received guidance and teachings from Masters Ji Jing Shan, Zhou Kai Long, Xu Wen Zhong, and Li Zhun Si, and from the famous master of Shanxi style Xing Yi, Gao Bao Dong. Master Liu is recognized for his masteries in Fan Zi Quan, Ba Xian Sword, Liu He Spear, Wu Hou Saber, Xing Yi, Ba Gua, Tai Chi, Liu He Ba Fa, Miao Saber, Pi Gua, Chin Na, Ton Bi, Xing Yi Big Spear, and Qigong. From 1978 to 1983, Master Liu competed in many traditional wushu tournaments in Shanghi and won medals every year.In 1982, as part of the Shanghi Wushu Team, Master Liu went to Xian to take part in the National Traditional Wushu Competition. He received a gold medal for his performance of the Xing Yi Thirteen Spears. In 1993, Master Liu attended the First International Ba Gua Zhang Friendship Conference in Beijing, where he demonstrated and received award. In the late-19700s, Master Liu focused on the research and practice of Wu Dang and other styles of Qigong. In 1983, he served as the coach for the Wushu Association at Fudan University. In 1984, Master Liu published articles, including one titled Xing Yi Eight Word Gung, on the Wu Lin martial arts magazine. 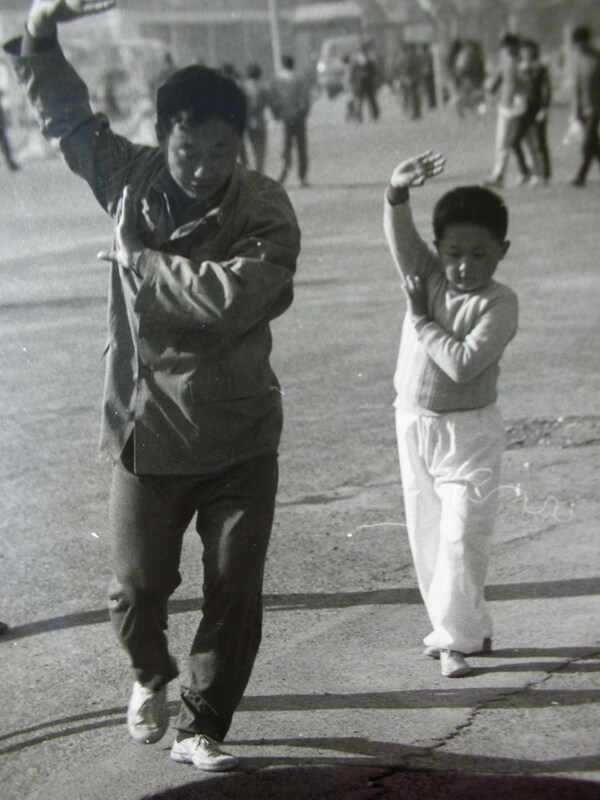 In 1986, Master Liu became the director of the Chinese Wushu Training Center of Haikou City in Hainan Province. He taught northern Chinese style wushu, and became the first person to teach Ba Gua Zhang in Hainan Province. During this period, Master Liu taught close to a thousand students. These students came not just from China, but included wushu enthusiasts from France, Germany, Italy, Sweden, USA, and Japan. In 1977, Master Liu became listed in the Directory of Famous Traditional Chinese Martial Arts Masters. In 1999, he became listed in the Directory of Contemporary Chinese Martial Arts Masters, and in the Directory of World Talents. In 1999, Master Liu was among the first group of martial artists to be awarded wushu six dan by the Chinese government. Master Liu has been a member of the Shanghi Scientific Research Institute of Qigong, the Shanghi Wushu Association, and the Chinese Traditional Medical Massage Association of Shanghi. He has also served as the vice president of the Shanghi Dong Hai Chuan Ba Gua Zhang Research Institute, the director of the Shanghi Wu Dang Qigong Research Institute, a coach of the Chinese Hua Yue Xin Yi Liu He Ba Fa Research Institute, the vice president of the China Cangzhou Tong Bi Pi Gua Quan Research Association, a consultant to the Beijing Jingwu Research and Development Center, and the vice president of the Chinese nongovernmental Martial Artists Friendship Association. Master Liu has devoted his life to the practice and research of wushu for several decades now. He has not only acquired expertise in the theory and practice of wushu, but has had also the courage to make further developments. Master Liu is an exceptional and versatile martial artist who has integrated the soft and the hard of Kung Fu. Master Liu came to the United States in August 2000 and started teaching at Wu Shen Tao Health and Martial Arts in Takoma Park, Maryland. In 2002, Master Liu was honored with the Martial Action Magazine's Grand Master of Chinese Martial Arts Award. 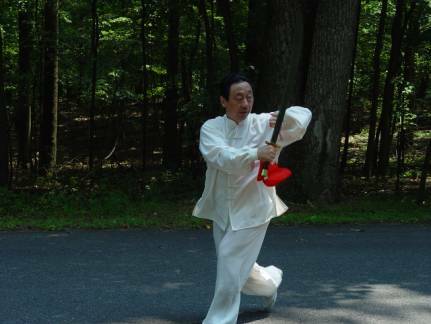 Master Liu has opened his Wudang Martial Arts school in 2003 and leases studio space at the Dance Exchange in Takoma Park, Maryland where he teaches ongoing classes and workshops. Master Liu made a Liu He Ba Fa DVD in 2004, a Wudang Qigong DVD in 2005, and a Xingyiquan 5 Element Fists DVD at the end of 2007. He wants to share his learning experience with other people, to help them understand each move and how to use the movements. 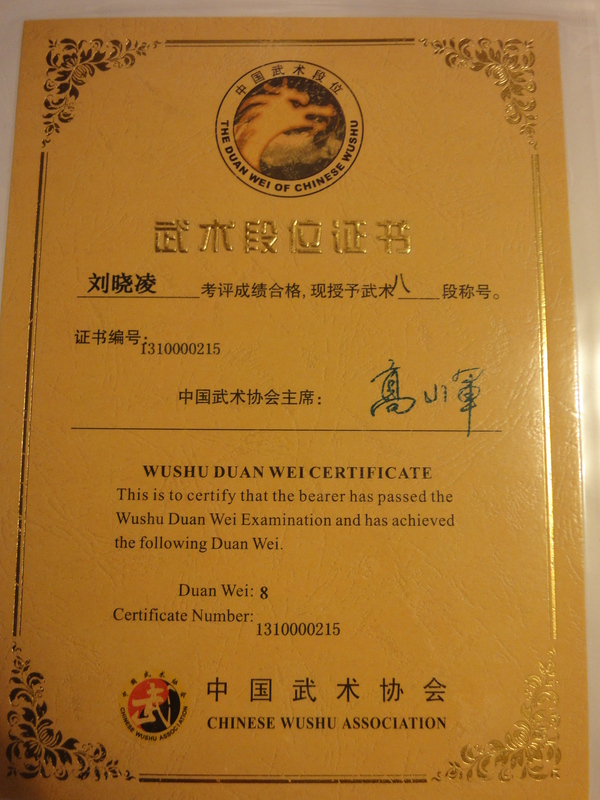 In December 2013, Master Liu became to Awarded wushu eight dan by the Chinese government.